Jesse Poole/Staff photo. Gloucester Daily Times. Gloucester: Third-grader Anabelle Palumbo, left, holds hands with McKenna Ciolino, 2, who is diagnosed with Emanuel syndrome, a rare chromosome abnormality. 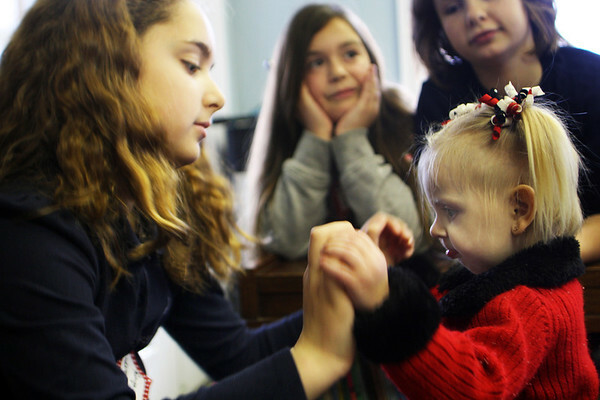 Her mother, Chelsie Larry of Gloucester, brought McKenna to Eastern Point Day School on Tuesday morning in order to help educate students on the specific syndrome.